Whilst we love a little luxury sometimes a hearty good value meal is in order. 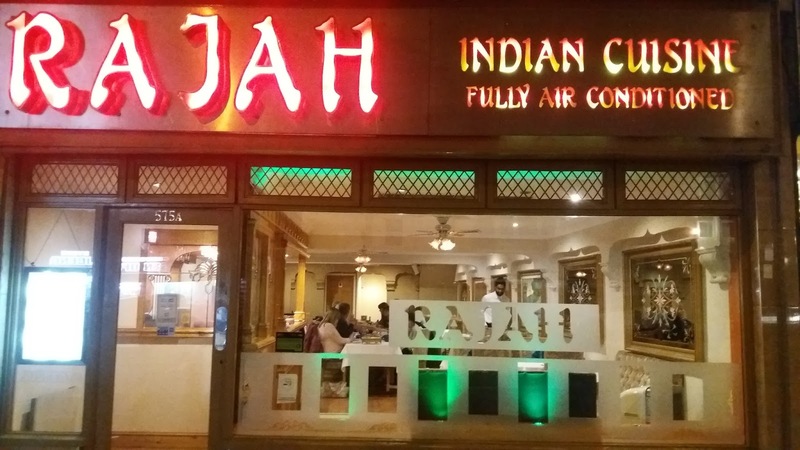 We''ve made numerous trips to Rajah in Sherwood over the years and their set menu is a winner for us at a great value £10.90 for starter, main and a coffee or ice cream for dessert. 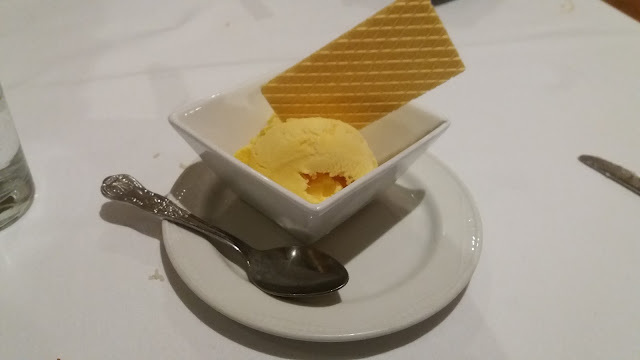 Here's our photos from a recent visit and sampling of the 3 courses for £10.90 menu. 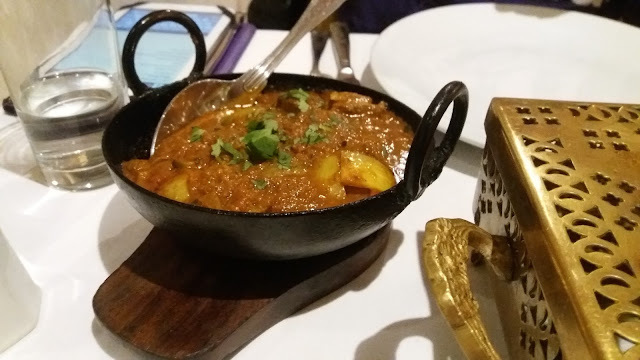 For starters we opted for the Chom Chom- Tender chicken tikka pieces pan fried with Indian Cheese, garlic and onions which came out with succulent flavourful chicken and a small fresh salad. 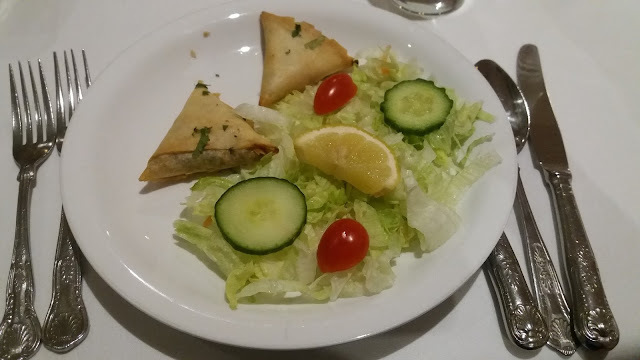 Our other option was the Meat Samosa which was slightly spiced and full of flavour. 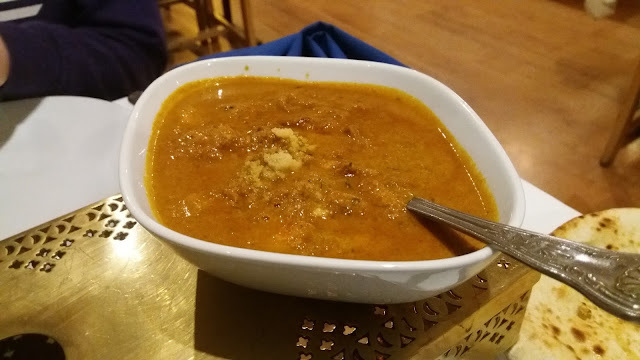 For mains we opted for a Meat Balti and my personal favourite- a Prawn Ceylon. Having had them at Rajah before I know what to expect. A warming coconut curry which works well with prawns. 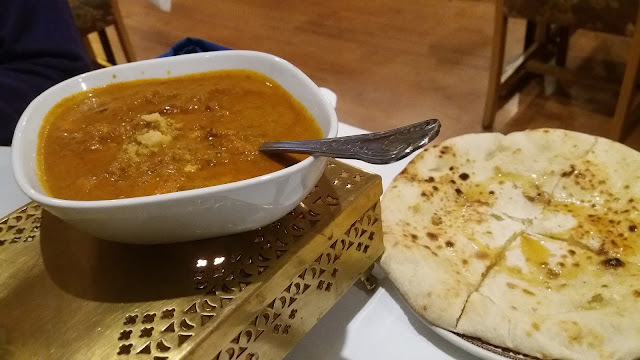 Todays was as good as usual served with delicate Pilau rice and sweetened Peshwari Naan bread. For £10.90 it's hard to fault Rajah in Sherwood. Service is good, food is good and there is plenty of choice on the special menu. We've been a number of times in the past and will continue when we're looking for a nice curry on a budget. The menu also applies at the weekend too.